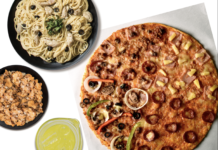 all Yellow Cab stores nationwide except Kidzania, MoA Arena, Brent, and Camaya Coast. LIMITED TIME OFFER! 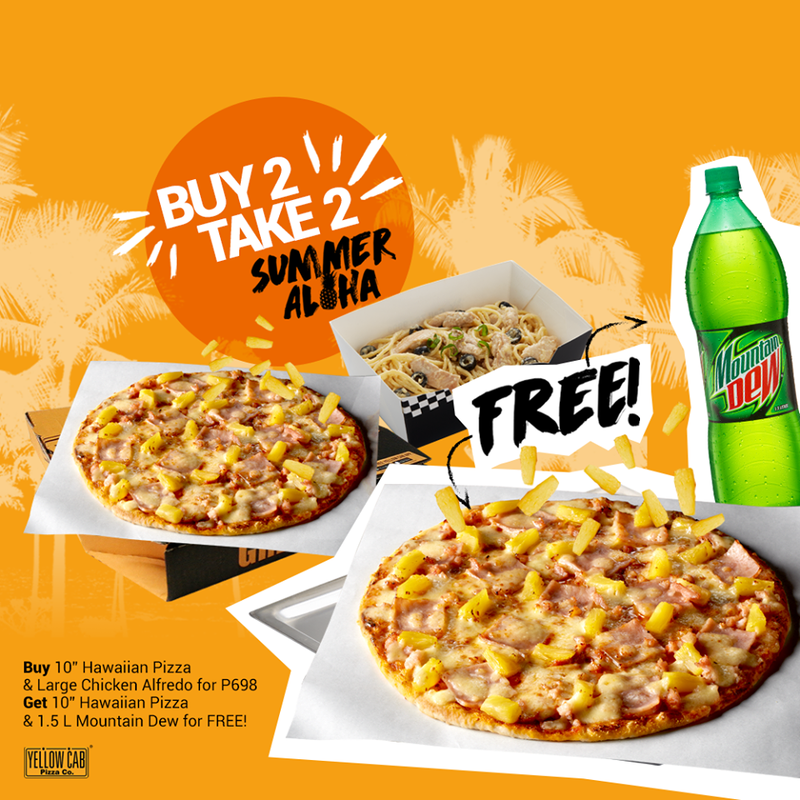 Fuel your hustle this summer with our Buy 2 Take 2 Summer Aloha promo: buy 1 10” Hawaiian Pizza and Large Chicken Alfredo for P698 and get FREE 10” Hawaiian Pizza and 1.5L Mountain Dew! 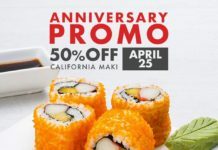 Promo runs from April 19-30 only. 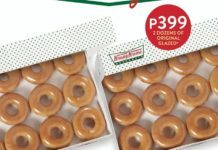 Valid for Dine-in, Take-out, and Delivery transactions in all Yellow Cab stores nationwide except Kidzania, MoA Arena, Brent, and Camaya Coast.